As you know, the Administration recently announced serious cuts to the Department of Conservation and Recreation’s budget for this summer that affect seasonal staff, algae removal, and free beach events and programs this summer. While these cuts are critical, Save the Harbor/Save the Bay is dedicated to making the Summer of 2017 the best yet -- but we need your help. The Metropolitan Beaches Commission at their February meeting. 1.) Check out this letter from the Metropolitan Beaches Commission asking Governor Baker and Secretary of Energy and Environmental Affairs Matthew Beaton, Secretary of the Executive Office for Administration and Finance Kristen Lepore, Secretary of Housing and Economic Development Jay Ash, and other administration officials to revoke these cuts and fully restore the budget in FY2018. Then, send us an email with your name, affiliation and contact information so that we can add your name to the letter. #SavetheSummer with Save the Harbor at our Harpoon Shamrock Splash! 2.) Join us at the Harpoon Shamrock Splash! Register for the Splash HERE (www.shamrocksplash.org) and you automatically get Harpoon beer, a post-splash b.good meal, a Harpoon koozie, and a chance to win a round-trip JetBlue ticket. 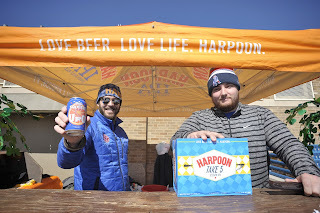 When you start a team and raise $100, $250, or $500 or more dollars, you'll get some cool Harpoon swag and a greater chance of winning another round-trip JetBlue flight. This is the most important Splash yet, and we need all of your support to keep the Better Beaches Program in 2017. All of the proceeds go straight to youth programs and beach events on all of our public beaches from Nahant to Nantasket. Last year, we raised $40,000-- help us beat that record this year. We'll see you on M Street Beach in South Boston on March 5th. The Beaches Science Advisory Committee meeting to discuss the new plan. It has been a busy start to the year at Save the Harbor/Save the Bay. 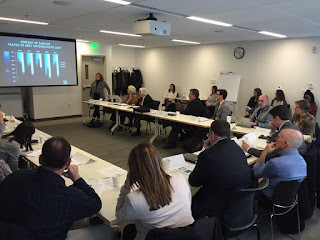 On February 2, just a few days after our Metropolitan Beaches Commission Meeting, we were back downtown for our Science Advisory Committee Meeting. The Committee is made up of scientists and experts who advocate for clean water and the protection and restoration of Boston Harbor and Massachusetts Bay. The Advisory Committee issues water quality and beach flagging report cards to inform the public and keep everyone healthy and safe when enjoying the beaches. The meeting opened with introductions and a bit of background as to why the group was meeting to discuss King’s Beach in particular. King’s Beach, located in the towns of Lynn and Swampscott, has been lagging behind some of our other Boston beaches. With an average water quality compliance of 82% since 2011, King’s has the second lowest compliance rate after Tenean Beach in Dorchester. With other Boston beaches averaging a 100% compliance rate, the numbers at King’s are unacceptable. Kelly Coughlin, one of the committee’s water quality experts and the one who presented all of the research at the meeting, found that the problems at King’s Beach stem from Stacey’s Brook Outfall-which receives sewage discharge from both towns. She also noted that King’s has a wet weather problem, because after it rains the bacteria counts skyrocket and there is a surcharge in the sewer system. The committee focused in on Enterococcus bacteria counts at the outfall and the smaller outfalls that filter into it. To keep people safe the legal limit of Enterococcus is set at 104 colony-forming units/100mL of water. There have been days at King’s Beach where the number of colony-forming units per 100 mL is well over 1000, often on days with wet weather. The Committee determined that this is from bacteria and other waste getting into the sewer systems and outfalls, and then being washed out to the beach when it rains. Eastern Ave, the outfall in Lynn that discharges to Stacey’s Brook, has a higher number of failed dry and wet days, however, because non-stormwater discharges are a significant problem as well. The major contributors to pollution at Stacey’s Brook are Eastern Ave and a combined sewer overflow (CSO) in Lynn and from neighborhoods and underdrains upstream in Swampscott. Swampscott is classified as a Phase II stormwater community and discharges under a general municipal separate storm sewer systems (MS4) permit. However, the sewer system is outdated, and part of the BSAC’s plan moving forward is the Sewer Rehabilitation Phase 1, and $11 million sewer rehabilitation including relining pipe, replacing sewer mains and service laterals, manhole rehabilitation and spot repairs, and replacing residential sewer laterals in this area. In November 2015 the EPA and Town of Swampscott entered into a Consent Decree to identify and eliminate non-stormwater discharge to the storm drain system. The Lynn Water and Sewer Commission (LWSC) serves the city of Lynn, Nahant, Swampscott and Saugus, and has an average monthly flow of 26 million gallons per day. It completed separation of its stormwater system, which resulted in fewer CSO activations, or less than 4 times each year. Lynn has a NPDES discharge permit for its wastewater treatment facility and 4 CSO outfalls (1 CSO discharges into Stacey Brook). Lynn has a National Pollutant Discharge Elimination System (NPDES) discharge permit for its wastewater treatment facility and 4 CSO outfalls (1 CSO discharges into Stacey Brook). It also has a Small Municipal Separate Storm Sewer System (MS4) permit to discharge stormwater to receiving waters. During the meeting, the committee identified four phases of the Illicit Discharge Detection and Elimination project. Phase 1 is to map storm and sewer systems, and prioritize the outfall. Phase 2 is the investigation stage, which includes public outreach, verification maps, storm drain cleaning, manhole inspection and flow monitoring, and field measurements. Phase 3 is the confirmation of illicit sources, removal, and post-removal verification. The final phase is to monitor bacteria, ammonia, surfactants, pH, and fluoride amounts. The current trajectory is a 15-year long project, with funds coming in every other year. Save the Harbor / Save the Bay has volunteered to help fund the gaps in data the committee identified. The group will accelerate the process of cleaning up King’s and reduce the 15-year number. What’s next for King’s Beach? 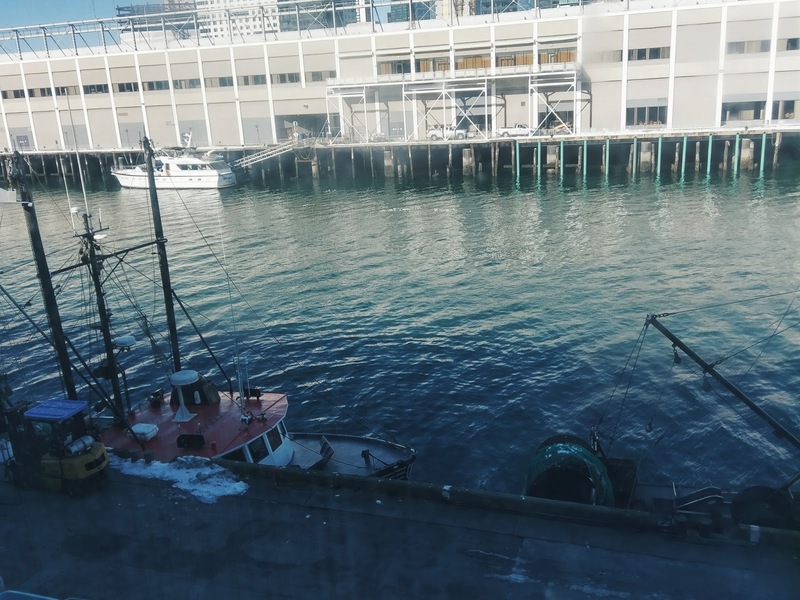 Save the Harbor will be looking into data gaps and potential costs, and the committee will come together after all sides look at the problem again. To follow the updates on what the committee is doing and what is new at King’s Beach and all Boston public beaches, follow Save the Harbor / Save the Bay on Facebook, or @savetheharbor on Twitter and Instagram, and keep checking our blog. Greetings y'all! My name is Elaine Mensa-Wilmot, and I am proud to say that I am now an Environmental Policy Intern at Save the Harbor/Save the Bay. a casual bout of 20-degree weather. I am a fresh college grad who recently moved up north from the great state of Texas to attend Boston University’s School of Public Health (Go Terriers!). At BUSPH, I am concentrating in Health Policy and Law in addition to a contextual certificate in Social Justice, Health Equity, and Human Rights. I like to spend my free time in the company of great music, so most nights I can be found either embracing the local jazz scene or taking in a nationwide tour. Given the expanse of Texas’ coastline at over 600 miles, I am no stranger to beachy days and water excursions. Growing up, I was fortunate enough to celebrate a multitude of events making weekend trips to Galveston, Corpus Christi, and South Padre Island. However, as evidenced by the work being done at Save the Harbor/Save the Bay, this experience isn’t universal to all American youth. Knowing how closely I hold my own beach memories, being able to join up with an organisation like STH/STB that so fervently works to restore and protect Boston shorelines (and marine environments!) in order to share them with the public for all to enjoy could not be a more exciting endeavour. The wide variety of programs Save the Harbor/Save the Bay offers and engages with, from beach clean-up days to their Shamrock Splash, leaves so much opportunity for involvement and I can not wait to dive right in! First up? An examination of past and present seafood marketing campaigns and the effects they’ve had on human consumption and behaviour. As you may know, the Baker Administration recently announced deep cuts to the Department of Conservation and Recreation’s budget for this summer, which we believe put the extraordinary gains we have made on the region's public beaches in recent years at serious risk. This round of cuts includes a $5 million cut in DCR's operating budget and a $400,000 reduction for seasonal staff. They also include cuts to the Metropolitan Beaches budget line, including $50,000 for algae removal in Lynn, Swampscott and Nahant and $100,000 for free beach events and programs this summer. The region's 19 miles of public swimming beaches have the power to connect the region's residents to the recreational and educational benefits of our $5 billion investment in the Boston Harbor clean up. They also play a critical role as economic drivers for the region's beachfront communities and waterfront neighborhoods in Lynn, Nahant, Revere, Winthrop, East Boston, South Boston, Dorchester, Quincy and Hull. We know you understand the value of these extraordinary urban natural resources to you and your community. We also know you understand the importance of free beach events and youth programs to the region's kids and families, many of whom can't afford to get away to Cape Cod or Cape Ann. That's why we are asking you to join the Metropolitan Beaches Commission and Save the Harbor/Save the Bay and sign on to a letter asking Governor Baker and Secretary of Energy and Environmental Affairs Matthew Beaton, Secretary of the Executive Office for Administration and Finance Kristen Lepore, Secretary of Housing and Economic Development Jay Ash and other administration officials to rescind the cuts this year and fully restore the budget in FY2018. At Save the Harbor/Save the Bay we believe in the power of clean water to transform communities and improve the quality of life we enjoy in the Boston Harbor region. We also believe in the power of people to persuade decision makers to do the right thing. Please take a minute to read the sign-on letter below, and send us an email with your name, affiliation and contact information so that we can add your name to the letter. We know we can count on our friends and supporters to join us as we continue to work to put our tremendous public investment in clean water and better beaches to work for all the residents of our region. As you know, late last year, the Baker Administration announced a series of 9C cuts to the Department of Conservation and Recreation’s budget for FY 2016. Coming on top of deep cuts to DCR staff and operations in 2015, these cuts jeopardize the agency’s ability to fulfill its responsibilities on the region’s 14 public beaches in 9 communities including Lynn, Nahant, Revere, Winthrop, East Boston, South Boston, Dorchester, Quincy and Hull. These cuts include $100,000 for free beach events and programs, $50,000 for algae removal in Lynn, Swampscott, and Nahant, and $50,000 to support the work of the Metropolitan Beaches Commission, as well as more than $5 million in cuts to staff and operations at DCR. 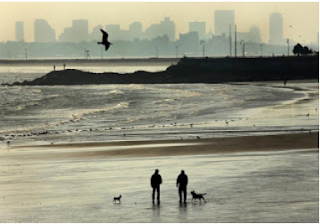 The metropolitan region’s 14 public beaches are an extraordinary urban natural resource which contributes to the civic, cultural, and recreational vitality and economic health of the region’s waterfront neighborhoods and beachfront communities from Nahant to Nantasket. We know you understand how important these beaches are to the more than 1.5 million residents who live within a short ride or drive to the coast. We are counting on you to advocate for the restoration of these funds for FY2017 and to fully restore DCR’s budget in FY2018. P.S. Despite these devastating cuts, all of us remain committed to a full season of free events and programs on the region's public beaches this summer. Please help us #savethesummer and join us on Carson Beach on Sunday March 5th for the Harpoon Shamrock Splash. Register today at www.shamrocksplash.org and help us raise funds to support free beach events and programs on your beach this summer. What better way to kick off another year of protecting, restoring, and sharing Boston Harbor than a splash into the water at the nation's cleanest urban beach and some cold Harpoon beers? We are delighted to announce that the Harpoon Shamrock Splash to benefit Save the Harbor/Save the Bay will be held on Sunday, March 5th at the BCYF Curley Community Center in South Boston! 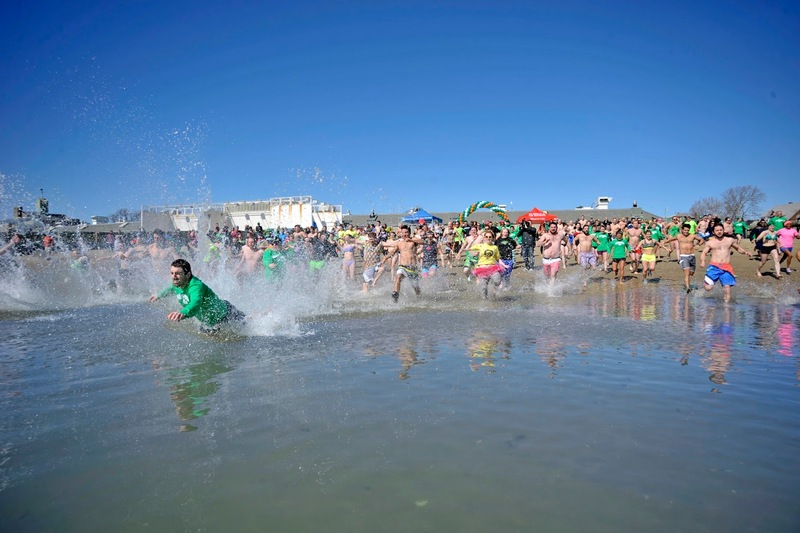 Last year, the Harpoon Shamrock Splash raised more than $40,000 to support free concerts and beach festivals, sand sculpting competitions and youth programs on the region's public beaches in Lynn, Nahant, Revere, Winthrop, East Boston, South Boston, Dorchester, Quincy and Hull. 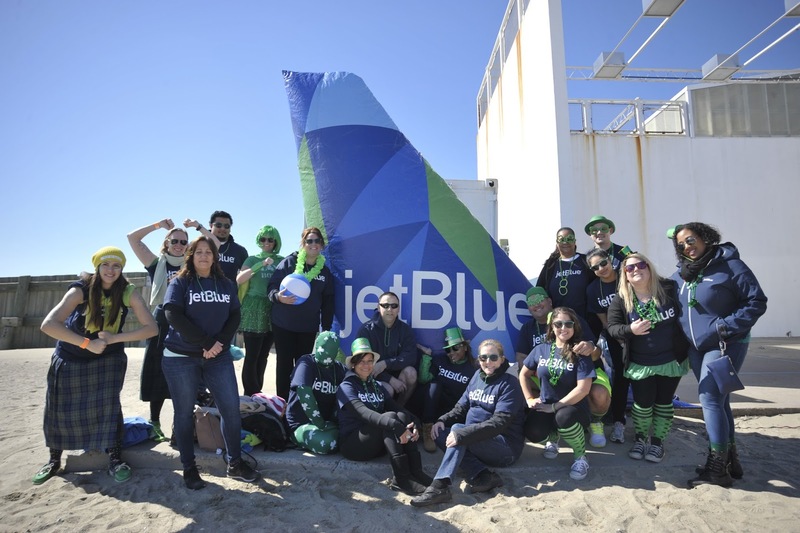 Your $20 registration for the Splash includes beer, a burger, a Harpoon koozie, and a chance to win a round-trip JetBlue ticket. When you start a team and raise $100, $250, or $500 or more dollars, you'll get some cool Harpoon swag like t-shirts and hoodies, and a greater chance of winning another round-trip JetBlue flight. You can register HERE. This year's Splash will be better than ever, with live music, cold beer, and tasty treats from B.Good. It is also the most important Splash we have ever put on. In 2015 and 2016, with the support of the Metropolitan Beaches Commission, the Legislature and both the Patrick and Baker Administrations, the Department of Conservation and Recreation invested funds to support our Better Beaches Program of free events and programs on the region's public beaches. Recent budget cuts make state funding for this program uncertain this year, so your participation and support in the Splash is more important than ever before. Save the Harbor is committed to running a Better Beaches Program in 2017 regardless of these cuts, which is why we we're counting on the fundraising efforts of our friends who love their beach as much as they love Harpoon beer. Check out the video of the Splash here to get you excited about starting your Splash team NOW! 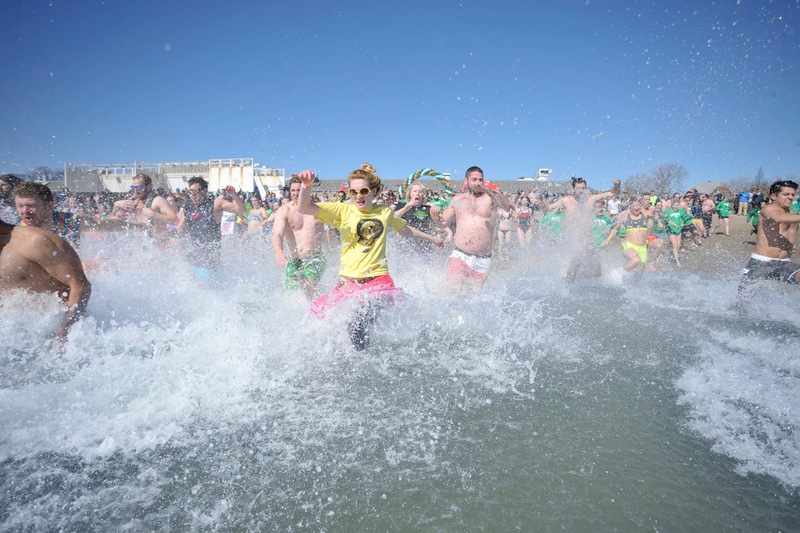 We can't wait to see you in the water at M Street Beach in South Boston on March 5th! Hello everybody! For those that do not already know me, my name is Maxwilliams Iwuala and I am a senior Biology major attending Stonehill College. I have worked with Save the Harbor Save the Bay's summer programming in previous years, but have recently made a return to the company working as a project assistant aiding in the review of their 2017 summer curriculum. I was raised in Boston for nearly my whole life and have visited many a beach in the Boston area. 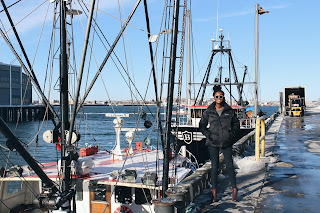 It was not until, however, working with Save the Harbor Save the Bay during my sophomore year of college that I was able to appreciate the beauty and liveliness of the Boston Harbor and the region's public beaches. 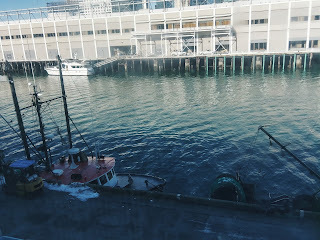 More importantly, though, I realized the numerous extraordinary experiences I had been missing while living in the harbor's very backyard. I can still remember my first time fishing off of a boat in the harbor with Camp Harbor View’s fishing club hosted by Save the Harbor Save the Bay; my memory becomes a bit hazy when trying to recall whether or not I actually reeled in any fish that day, however, I will never forget the excitement and sense of adventure the trip inspired in all of the young fishermen and women and myself. From the looks of the faces on some of the young campers I could easily discern this too was their first time fishing on the waves, untethered from any semblance of seashore. It was then that Save the Harbor Save the Bay’s mission became real to me; aside from the abundance of fun had by both the staff and the thousands of children participating in our summer programs, there is an indisputable commitment to sharing the local beaches, harbor and Boston harbor islands alike, with underserved youth communities inhabiting this great city that otherwise may not enjoy the opportunity to do so. I have experienced firsthand the impact of such opportunities and have since refocused my aim to assisting Save the Harbor Save the Bay in extending these experiences to the countless children reached by the company’s community programming! Hi everyone! My name is Claire and I am a new Environmental Policy Intern here at Save the Harbor/Save the Bay. I am currently in my senior year at Boston University, where I am getting my degree in Environmental Analysis and Policy. Coming from suburban New Jersey to Boston has been an awesome change, even though there aren't as many trees for me to hug in the city. Growing up around farms and parks taught me to appreciate animals and nature, so I decided to study how our society can protect and sustain them. One of my favorite things to do is travel, and I am always searching for the balance between urban sprawl and wilderness no matter where I go. 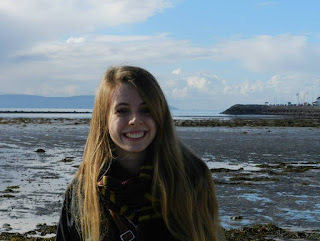 Smiles from Salthill Beach in Galway, Ireland! My favorite childhood memories are of exploring the woods by my house and searching for shells on the Jersey Shore (and yes, there are actually beautiful beaches despite what you might see on TV). Once I took AP Environmental Science in high school, it became more clear that I wanted to spend my life working to protect the environment. I am excited to be working with Save the Harbor/Save the Bay because it is an organization that works for conservation in so many ways. It's important to show people how awesome their environment is, especially since there are so many unexpected opportunities in the city! I hope that through my work here I will be able to see policies in action as we advocate for the planet and show communities around Boston how they can enjoy the natural world from right here in the city. There are so many awesome natural areas in Boston that wouldn't be as great if there weren't as many people working hard to protect them. Boston is a city with so many resources, and I can't wait to work with everyone at Save the Harbor/Save the Bay in conservation projects and to share my enthusiasm for the environment with other curious people! 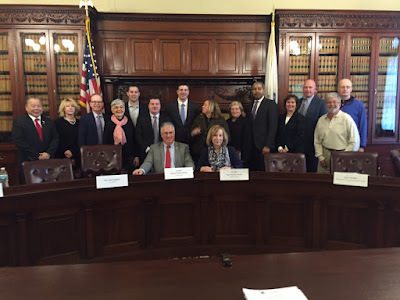 On January 30th, Save the Harbor/Save the Bay’s staff and interns were on hand to witness policy in action at the Massachusetts State House for the meeting of the The Metropolitan Beaches Commission (MBC). This Commission collaborates with the state legislature to recommend improvements for our urban beaches and works with the Department of Conservation and Recreation (DCR) on many beach conservation projects. A recent budget cut for DCR has called into question the future of the beach conservation projects by the DCR as well as the programs held by Save the Harbor/Save the Bay on our urban beaches. Over the years since the Commission was formed, its members have been able to see the improvements made with DCR take shape in the communities. Senator McGee, Co-Chair of the MBC, recalled the algae problem in Nahant. The smell of the algae became so unbearable that it actually deterred people from visiting the beach. Through the DCR’s hard work, the algae was removed and people were able to enjoy the beach again. DCR was also able to provide better landscaping, increased staffing, and facility updates that made the beach even more enjoyable. Along with the potential for algae problems to make for an unpleasant beach day, the decreased budget may force DCR to reduce staffing and cut maintenance projects that could improve the beaches as a whole. A decrease in budget means that the funding for Save the Harbor/Save the Bay’s Better Beaches Program has been decimated as well. These programs are not only a great opportunity for children and families in nearby communities to take advantage of Boston’s great beach resources, but they also showcase these urban beaches. Representative RoseLee Vincent, Co-Chair of the Commission, said, “it’s a shame we’ve come so far and now we seem to be going backwards,” noting that Revere Beach is lacking in the cleanliness and staffing that it once had. The Commissioners’ shared goal has always been the improvement of Boston’s beaches for both their recreational and their environmental values. Our metropolitan beaches are an important resource, and as some of the cleanest urban beaches in the country, they are truly beaches we can be proud of. With the recent budget cuts it is unclear whether we will be able to maintain the beach quality that we have seen, but the MBC will continue to work to make this possible. Soon, the MBC will hold a hearing and work to publicize what this budget cut means to the future of the beaches and how it will affect the quality of life for the thousands that call these beaches home. This hearing will gather supporters to advocate for the importance of restoring the budget in maintaining and improving the quality of our urban beaches. Click here to read more about the MBC and learn more about what the Commission has done with the help of DCR to improve our beaches in their 2014 report, Waves of Change. For even more updates, like Save the Harbor/Save the Bay on Facebook!